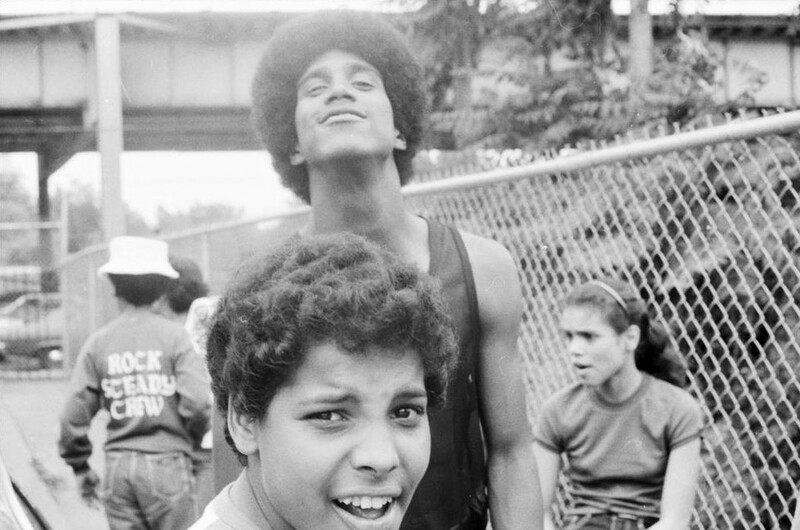 NEW YORK CITY, 1982, The war is on between graffiti artists known as “taggers”, “bombers”, “burners” and the police on the streets of the city. The inner city subways have become a moving canvas for urban artists and the creativity of these teens is both beautiful and bold. While the kids see this as an expression of their souls, the NY Transit Authority and Mayor Ed Koch consider it a crime. When you sit down and watch Style Wars, you’ll get a really interesting look into a 20th century pop culture phenomenon. 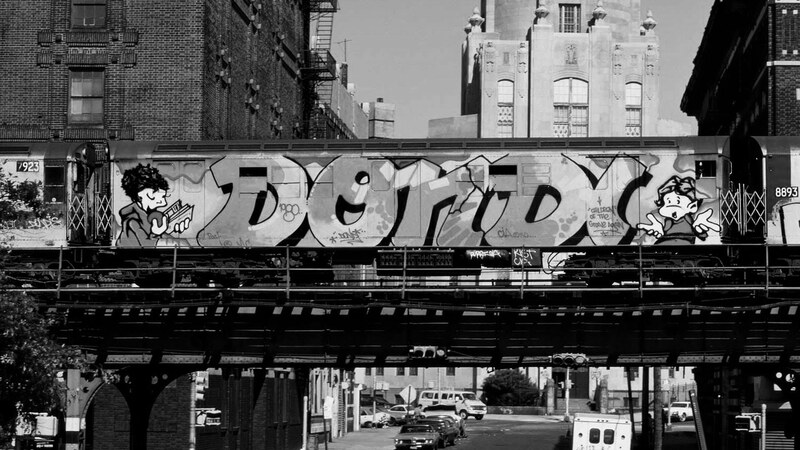 We meet several of the greatest bombers to ever put paint to subway trains including Skeme, Seen, Min, Mare163, Dondi and IZ The Wiz. At the beginning of the film, we meet Skeme’s mother, who thinks what hes doing is wrong, but she doesn’t know that Skeme is a pioneering artist. Like most adults, she thinks the way Skeme talks and how he expresses himself is just nothing but a joke. The authorities look at the kids as vandals and don’t see their artwork as beautiful or creative, they see it as reckless and obtrusive. You can see where they are coming from, the graffiti is a defacing of public property, but its also incredibly interesting and fun to look at. Therein lies the excitement of this art form. One of the most interesting aspects of the tagging scene was the anti-authoritarian nature of what they were doing. 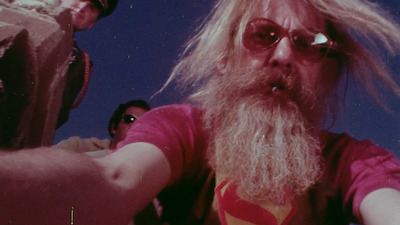 It wasn’t just about creating eye popping “pieces” on the subway trains running all over NYC, it was the adventure and adrenaline rush they got from breaking into a space that wasn’t theirs and creating a new language or advertising for their own subculture. In the film, we get to see first hand of how artists like IZ The Wiz venture down underneath the streets to the cavernous subway systems. The walls are covered in graffiti art. This is where the bombing begins. Outside in the train yards, the taggers hop the fences where they see the beautiful white steel train cars, the sides are uncovered and waiting for them. This is a true thrill for the bombers. A nice clean canvas where they can create their brilliant urban artwork. One artist named SEEN is one of the kings of bombing and he has an entire group of artists that help him put his murals on the walls. While SEEN is creating these intricate modern works of art, another tagger named CAP, is probably the most infamous on the scene. He is not an artist like the others, he is merely working with a “more is better” philosophy. He wants his name on every car and he doesn’t care about the art of the scene at all. Style Wars not only covers the tagging scene, but we also get an early look into the other branches of hip hop culture like Breaking. Breaking or Breakdancing, went hand in hand with the tagging. Several of the artists and breakers like Crazy Legs and Frosty Freeze explain that when you look at the bombers’ “pieces” on the sides of the trains, you can see the movement, the flow, and the electricity that is found in breaking. It was about twisting and creating all kinds of new languages both in painted art, music and in dance. One art form influences the other. The music influences the breaking which influences the tagging. It really is an incredible thing that these young kids created these different arts right in the streets. They took something and made it a worldwide pop culture craze. In 70 minutes we get an epic documentary about the world and culture these kids created for themselves. 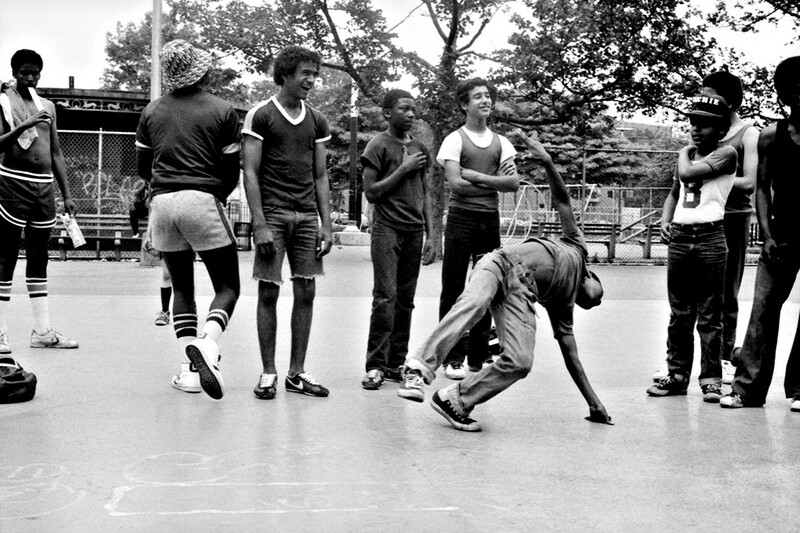 Many think that breaking, tagging, DJing and rapping was only done by African American kids, but when you watch Style Wars, you’ll see that from the very beginning, this form of art known as hip hop crossed the spectrum from black to Latino to white. That’s one of the coolest things I found in the film, all these artists are friends, they’re expressing themselves and enjoying working together. They get off from seeing each others works and this in turn inspires them to push their own limits of creativity and make even bigger and more intricate/beautiful pieces. As KRS ONE stated: If you want to know what hip hop is all about watch this film. 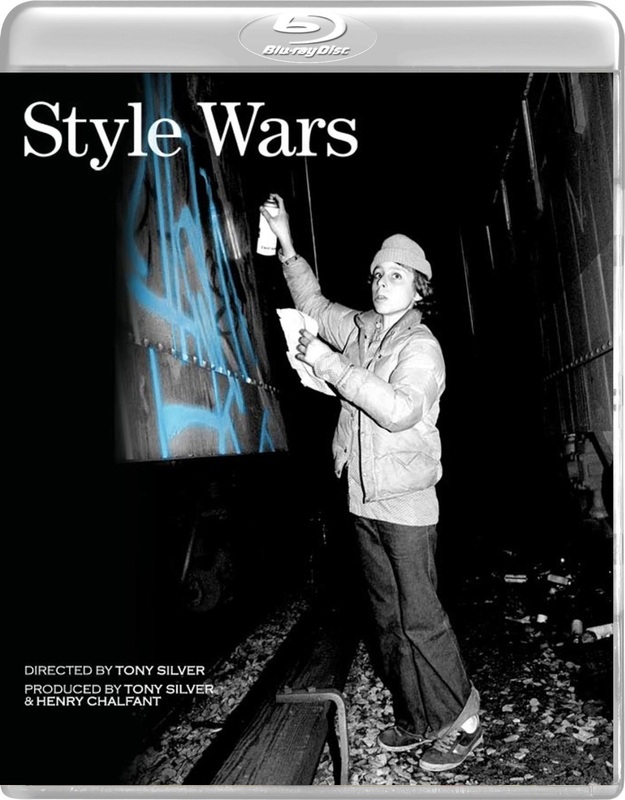 The home video presentation of Style Wars is a really nice treat for hip hop fans and collectors. You not only get the film, you get all kinds of great extras showcasing more of the incredible graffiti art done by the pioneers. You also get to hear from several of the artists themselves 2 decades after they first started in the hip hop scene. Many of them are still working in the art form, but instead of working on subway trains, they have brought their art into more commercial areas. Mare163 is a popular sculptor of urban art, Crazy Legs teaches breakdancing, and Duro is a professional graphic artist. Just watched it [thanks to your post, btw]. The movie is a very comprehensive piece of analysis of the whole movement. It ties together the artist and his/her work, demonstrating the essence of graffiti as a social process, not merely as a finished good. I especially liked mother’s feelings about her son’s graffiti aspirations, a nice touch of Wagner and Grandmaster Flash, and naturally, Mayor’s proposition about the wolves. P.S. For more breaking action one might check out Breakin’ (1984) by Joel Silberg.